Fibro fog might make us forget certain things, but when it comes to Fibromyalgia pain and other symptoms... need I mention it is useless. So, while we have accepted the fact that the pain is going to be our forced live-in partner (unless of course some path-breaking research results in curing FMS, cross your fingers please), we can definitely cheat it 'at times'! Alright, you know the 'at times' part of the previous sentence is most important, but don't we always say, "I wish I had at least an hour without pain!" So 'at times' is good... good for us, for now. So how do we cheat pain and the umpteen symptoms? Well it's no secret that, sooner or later, everybody eventually finds a way to deal with the problems in life. Some fight it back, some move away and some find a smarter alternative. 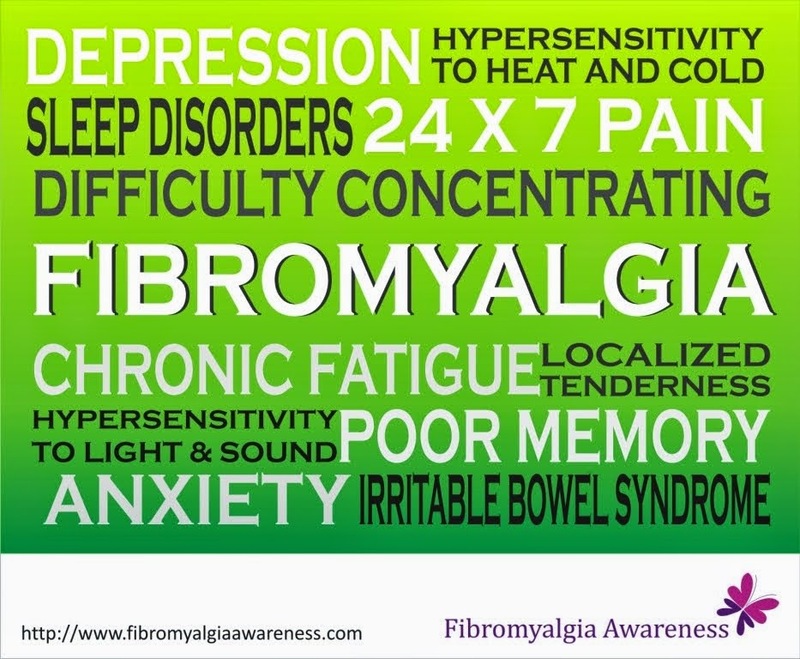 In the case of Fibromyalgia, well we need a good mix of all of these. PLEASE NOTE: I am not talking about the relief methods in this post. Our Facebook page and this blog has loads and loads of tips contributed by all of us. Sometimes, as we all know, the relief methods do not offer the "timeout from FMS" that we are looking for. 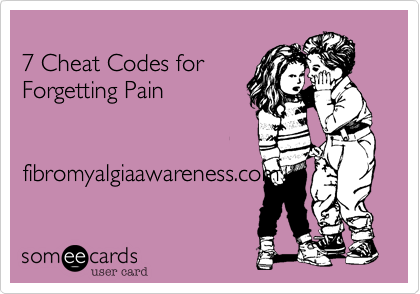 So what follows is what I call my Cheat Codes for Forgetting Fibromyalgia Pain. Different things might work for different people with Fibromyalgia since all our symptoms vary, but let me share what helps me. Based on my pain threshold and the varying levels of pain/symptoms everyday, I have a list of things to do to temporarily forget pain that has been helping me for over an year. So, sharing these tips here and hoping you add yours too! Games on iPad: Works really well for me. Try a game that occupies your mind. Choose a category that you like - mystery, puzzle, time pass, racing, word games, etc. If racing is what interests you, remember to choose a game where you are not required to tilt the iPad constantly. The touchscreen means ease and less effort on the fingers. But holding the iPad continuously for 10-15 mins can add to the pain, so changing the way we use it makes more sense. Relax on a sofa holding it for a while, place it on a table for a while, stand for a while as you place it on a cabinet (remember, the height of the cabinet should be comfortable to you... after all staying in the same position for long isn't good for us. Games on Computer / Mobile Phones / PS3, Etc. : Computer's great if you do not sit at length. With phones and PS3, remember not to strain your shoulders, elbows and fingers too much. Blogging / Writing: That's my area of interest. I write about FMS, about interesting things in my life, a short story here and there, or whatever I feel like. Being a copywriter and an active blogger, that's my core area of interest. Find what interests you most and follow your heart. When you do what you like, while not overdoing it considering your pain levels on a particular day, you are occupied and do not think about the pain for a while. Cheat it buddies!!! Walking and Listening to Music: Headphones on with my favourite music and a walk in the park helps me a lot when the knees aren't that bad. The plus point is that walking is a good exercise in itself! Television: They might call it the idiot box but when I am watching my favorite comedy shows or Grey's Anatomy, I am totally into it. For those 30 mins or so (damn the ads in between), I am either laughing or wondering what will happen next. Mind too engrossed to think about the pain. Remember again, do not stay in the same position for long. Take a little walk during the ads. Do not gorge on snacks while glued on to television, opt for some fruits instead! Creativity / Activity: I could paint a bit earlier, but holding the brush for that long without straining all the muscles and nerves... well, I might take a while. Do something creative... How about some DIY stuff, or cooking (that does not require too much chopping when the pain is higher), or designing a poster, or rearranging the wardrobe or that one thing that is 'your thing'! Give yourself a deadline and set an alarm coz when you do something you really love, time flies. And you do not want to struggle getting up after sitting for a couple of hours! Remember... you are cheating the pain here! Friends: Call up a friend you haven't spoken with for months, or years! Chat with a school friend you discovered on Facebook. Speak to friends who make you smile while sharing the funny incidents they witnessed. Talk about anything and everything and you would not realize how time passed! How about walking a bit too while talking. And if you are going to talk for hours... opt for the loudspeaker mode / headphones. You don't want your wrists to hurt or hands to go numb. Salon trip: Talking about it reminds me it's long overdue. Go pamper yourself. Get that facial, pedicure, manicure... how about a new haircut... a new look! And then you come home all rejuvenated and look in the mirror. FMS will take a while to recognise the new you! Well, these were my cheat codes. Try them and opt for what suits you. Or make your own list... and share it with all of us here! *These are not medically proven (or maybe they are I don't know!) tips. These are my own things-to-do when I just want to temporarily forget the pain and all the symptoms for a while. And well, armored with these I have managed to cheat Fibromyalgia often. So, try on and let me know. Remember, do not overexert yourself! Take care!